Our January 2019 Edition is now out and our cover story hinges on The Horn of Africa – comprising Ethiopia, Eritrea, Djibouti, Somalia and Somaliland – and analyses how the sub region has now become the focus of what is being termed a ‘Middle East Cold War’. The old bastions of power in the region, the US, UK and France, are being increasingly displaced by a new generation of Middle Eastern powers, with everyone racing to gain a foothold in what is becoming one of the world’s most militarised regions. The leaders in The Horn are playing a deadly game of chess against the new forces shaping the region. Analysis by James Jeffrey. A new scramble is underway in the Horn of Africa. 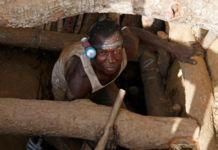 Once written o as one of Africa’s most volatile and treacherous regions for foreign involvement, a host of countries are now vying to gain a foothold. e Horn is becoming one of the world’s most militarised regions, beside one of the world’s most vital shipping lanes. As usual, US policy is playing a role, especially when it comes to its long-term ally Ethiopia. As the Horn’s most powerful and influential country, what happens to Ethiopia is likely to in influence the rest of the region. Since the 1991 revolution that brought Ethiopia’s present ruling party to power, the US and the Ethiopian People’s Revolutionary Democratic Front (EPRDF) have forged a strong bilateral relationship, based primarily on Ethiopia’s role in the Global War on Terror, with its large, professional and effective army and its formidable state security apparatus. But now the US is shi ing its focus away from terrorism toward political and economic threats, just as numerous squabbling Middle Eastern potentates jockeying for power in the region – Saudi Arabia and the United Arab Emirates (UAE) versus their bitter adversaries, Qatar and Turkey – are looking at forging closer connections with the region’s countries to help them achieve their goals. “In the last few years, the Horn of Africa has become a battleground on which Middle Eastern rivalries are played out,” says Awol Allo, a UK-based law professor and frequent commentator on Ethiopia and the Horn region. The latest incarnation of power-play in the Horn is motivated by the same forces that once had the old imperial powers of Britain, France and Italy tussling over the region: plain old-fashioned rivalry and a desire to control the approaches to the vital shipping avenue of the Suez Canal. But whereas before, Horn countries tended to show a healthy disregard for outsiders, now they are welcoming them with enthusiasm. It’s not hard to see why, given how the financial benefits involved could bolster if not transform the region’s benighted economies. Added to which, it can’t be denied how the emerging realpolitik has achieved some notable gains in terms of peace and stability, primarily the opening of the Ethiopia-Eritrea border a er 20 years of animosity and conflict. On the other hand, the geopolitical sparring and spider’s web of alliances and rivalries also has the potential to unleash dangerous forces in a long-volatile region. effectively wield hard and soft power regionally turned it into a vital US ally. In recent years, however, the US has gradually come to perceive the rise of China and Russia, and not terrorism, as the biggest threat it is facing in Africa and elsewhere. But while US policy was shifting, the Ethiopian government, belayed since 2015 by ongoing protests in the country and internal party squabbles, took its eye o the bigger picture outside Ethiopia. 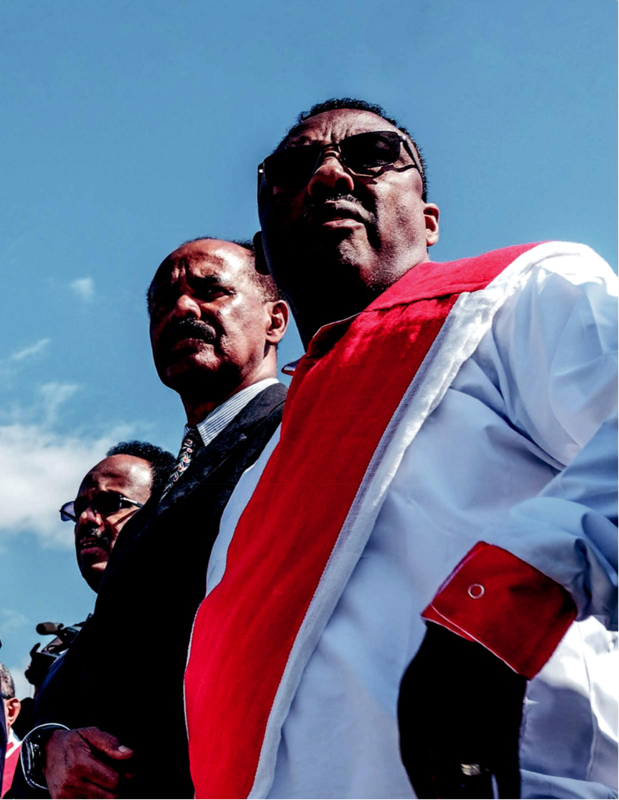 “ The EPRDF leadership failed to read the signal of the imminent US policy shifts,” says Mehari Taddele Maru, a Horn specialist. As a result, Mehari says, the EPRDF failed to prepare itself for the consequences. While the US knows it cannot match the scale of Chinese investment in Africa, it is still looking to curb Chinese economic in influence in the region, Mehari says. Fearing reproach from Washington, some East African countries may scale down their ties with China and revise their public procurement procedures. Aware of this, China has already announced its decision to cut down investment in Ethiopia until its current debt payment – which is colossal – is restructured. For example, the loan for a railway that stretches from Addis Ababa to Djibouti, just one of myriad Chinese-funded infrastructure projects, is $4bn. Amid such shifting sands, and with the US not offering as steadfast diplomatic support as before – including it not being as willing to look the other way over controversial practices by the Ethiopian government – the EPRDF became increasingly susceptible to its inner frictions and thereby less stable and sure of itself. By the beginning of this year, the EPRDF’s position had become so precarious that former Prime Minister Hailemariam Desalegn became the First Ethiopian leader to voluntarily cede power in an e ort to placate the criticism of his government and to calm the turmoil gripping the country. At the same time, the Ethiopian diaspora in the US was becoming increasingly effective in in influencing US policy toward the motherland. A week a er the 2 April 2018 swearing-in of Abiy Ahmed as Ethiopia’s new Prime Minister, the US House of Representatives unanimously adopted a resolution entitled ‘Supporting respect for human rights and encouraging inclusive governance in Ethiopia’. Unusually outspoken for US public policy in its criticism of Ethiopia’s government, the resolution – known as HR-128 – condemned the killings of peaceful protestors and excessive use of force by Ethiopian security forces; the detention of journalists, students, activists, and political leaders; and the regime’s abuse of the anti-terrorism laws to stifle political and civil dissent and journalistic freedoms. to enhance their own influence,” Awol Allo says. 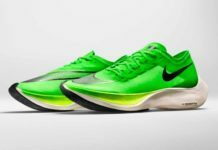 The connection came to the fore following the 1973 Oil Crisis, triggered when oil-producing Arab countries cut down production to punish Western countries that supported Israel in the Yom Kippur War. Horn countries suddenly faced soaring inflation in the aftermath of the crisis. 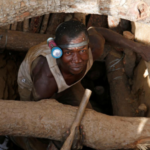 ering political loyalty and natural resources in return for aid,” Awol says. But the end of the Cold War in the early 1990s caused a shift in relations as the Horn of Africa underwent several changes, Awol explains. With revenue from oil also declining, he says, Gulf nations decided to retreat, which is how things stood for the following two decades. But now those nations are back, thanks to profound geopolitical shifts. relations with Iran, with whom Qatar shares the world’s largest gas eld. Iran, the Shia Muslim power, has become the main regional rival to the Sunni Muslim-ruled Saudi Arabia. increase in the number of containers Berbera handles. large and promising market, which was recently jeopardised when DP World was evicted from Djibouti, Somaliland’s neighbour, due to a dispute over control of the city’s Doraleh container terminal. 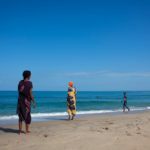 Yet Berbera’s commercial potential for UAE pales in comparison to its strategic and military bene ts, lying as it does, 140 nautical miles south of Aden, historically the most important port in Yemen, where Saudi and Emirati forces are engaged in a vicious war with Iranian-backed Houthi rebels. The UAE is already using its naval base at Assab, on Eritrea’s Red Sea coast, to bombard Houthi positions in Yemen. Berbera will provide more military options, analysts say, and leave it in a position to dominate Yemen after the war. and then while visiting Somalia, Abiy announced that Ethiopia would work with Mogadishu to upgrade four Somali ports. the tiny nation’s ports that serve so much of Ethiopia’s cargo. 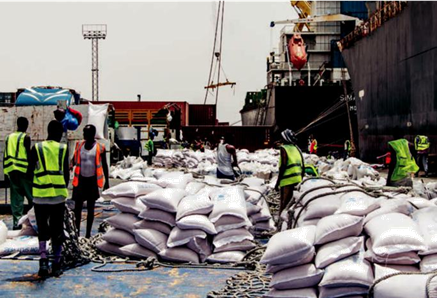 “These trade volumes will continue to grow as Ethiopian, Chinese and Djiboutian authorities have invested heavily in upgrading and enhancing infrastructure capacity along the Djibouti corridor,” says David Styan, a professor at the University of London’s department of politics. manufacturing export zones and Djibouti’s ports. Furthermore, the development of prospective oil and gas projects in Ethiopia’s eastern Somali region, which would also be exported via Djibouti as the nearest port, reaffirms the port nation’s relevance to Ethiopia, despite the UAE deal at Berbera. branch of the Ethiopian Djibouti Railway Company, working alongside the Chinese company operating the four daily cargo trains going between the two cities. And Djibouti is already looking and planning ahead. Its ambitious Vision 2035 blueprint for national development sees its harbours as a hub for Asian transhipments, servicing the entire region. 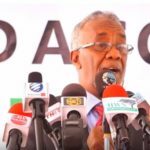 He adds that Djibouti hopes its competitiveness will be emboldened by Kenya’s LAPSSET corridor, which aims to link its coast at Lamu to South Sudan and Ethiopia. commerce that comes with them, remains an important generator of a peace and prosperity dividend for the whole region. But more is at stake than just the war in Yemen. Berbera, like Djibouti and Assab, lies close to the ‘Gate of Tears’, the narrow Bab al-Mandeb Strait running between the Horn of Africa as it juts out toward the Arabian Peninsula, a choke point separating the Red Sea and Indian Ocean, through which millions of barrels of Europe-bound and China-bound crude oil pass every day. “For over 25 years, maritime strategy and port development in the Red Sea and Gulf of Aden appeared relatively static,” says David Styan, a professor at the University of London’s department of politics. Eritrea looked inwards, he explains, neglecting its coast, while Djibouti flourished, lucratively embracing Ethiopia’s trade, overseas investors and foreign military bases. 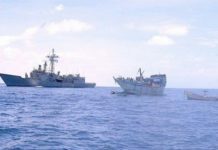 Meanwhile Somalia’s shores became synonymous with piracy, prompting Western and Asian naval manoeuvres, quietly ensuring free passage to the Suez Canal. But now that status quo has been entirely shaken up. “Ports in the Horn of Africa and Gulf of Aden are suddenly in the spotlight,” Styan says. Eritrea could serve as a future alternative to the current uncomfortable situation, but first it had to come out of diplomatic isolation, Mehari notes, especially by normalising relations with neighbouring Ethiopia. burgeoning economy would be a significant boon. 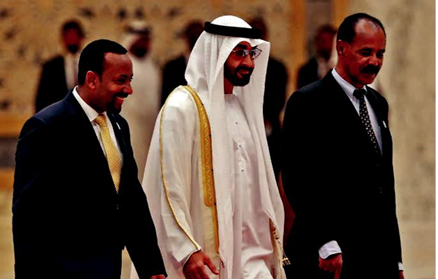 have had something to do with Ethiopia’s links to the UAE’s rivals in the Middle East feud, and Ethiopia’s attempts to stay chummy with all involved. “As it attempts to foster greater regional integration, Ethiopia has courted both the Qatar-Turkey and Arab axes to ll funding gaps for critical infrastructure and free trade zones,” Awol says. at the US embassy in Addis Ababa. “Ethiopia plays an important role for regional stability as the largest contributor to UN peacekeeping missions globally and host to one of the world’s largest refugee populations,” says a US diplomat who wished to remain anonymous. 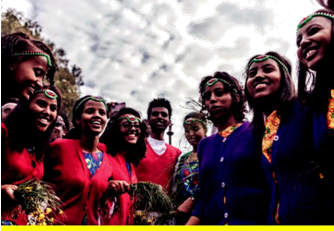 “With a growing population of over 100m, Ethiopia also represents tremendous untapped economic potential. The reform process launched by Prime Minister Abiy opens the door for further progress and collaboration in all of these areas, not least because democracy and good governance are powerful factors in building political stability and economic prosperity. airs at the US Department of State. Ultimately, the message from the US diplomatic corps is that America is sticking by Ethiopia, in line with its policy across all Africa. 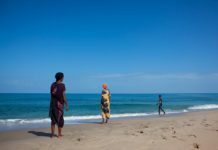 endless stream of Eritreans crossing the Mediterranean toward perceived safety in Europe. Internal Displacement Monitoring Center (IDMC). began at the end of 2015. Prime Minister, who some say is not being vocal enough in admitting and addressing the scale of the IDP problem the country faces. from the ports and military bases hosted. at least a shrewd operator on the international stage, capable of increasing Djibouti’s stock. “After all, he managed to get the American and Chinese militaries in the same place,” he says. followed the border opening would appear to indicate a low level of confidence that the country’s authoritarian regime will countenance political reforms any time soon. The Horn remains a tough region to live in for many. 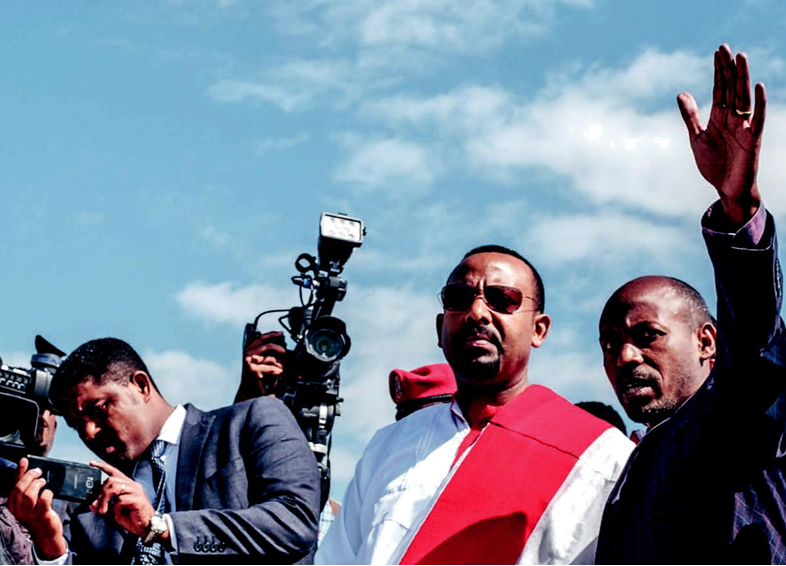 The Horn, not many need reminding, has a history of minor events mushrooming into far bigger problems: the brutal two-year Ethiopia-Eritrea war broke out ostensibly over the entirely inconsequential town of Badme by the border. Hence the fear that the Gulf rivals will put their brinkmanship before considering the potentially negative consequences for the still vulnerable states of the region, leading to consequences that even the less vulnerable states need be wary of. 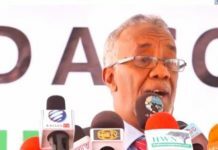 er some opposition politicians took the opportunity of joining Somaliland’s side in backing UAE, while some Emirati-funded units have reportedly refused to obey the government. 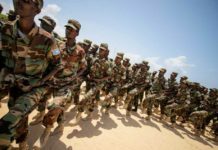 All this has raised fears that Somalia, which has rarely been at peace since 1991, could slip back into the type of chaos that allowed radical Islamist groups to flourish, emboldened pirates to strike at international shipping, and dragged down the reputation of the Horn of Africa, making it a pariah in the world’s eyes.